A volunteer is an ordinary person! It may be a student, a manager, a programmer, a journalist, an interpreter, a medical worker, a pensioner, an artist, a secretary or a teacher. Anyone can become a volunteer! If you care for others’ feelings and are kind to help others unconditionally – this is definitely a job for you! Children, who suffered serious diseases, like nobody else need a hearty arm, a piece of advice and an encouragement, and it is volunteers who make the atmosphere of feast, love and understanding predominant in the camp “Sheredar”. Volunteers of “Sheredar” are active, optimistic and cheerful people. Working with children, you will come across difficulties, the solution of which will require non-typical approach. - we invite YOU to join us! Priceless experience. During a unique training under the guidance of the leading experts of the International “Serious Fun Children’s Network", you will learn to understand children at a glance, to feel the mood’s changes accurately and, more importantly, to know how support properly. Training certificate upon its completion. 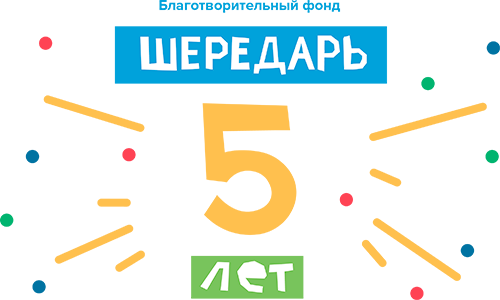 Two weeks in “Sheredar” will help you see the world around from a new perspective! Practice for students, social workers, medical workers, interpreters, photographers and journalists. Also we can arrange your work as an internship within the your university schedule. Incredible pleasure, when you will see the results of your work. Children’s smiles, merry laugh, first hand-made articles, horseback riding, numerous discoveries and genuine delight are the things our volunteers work for. There is nothing more important for us than security and psychological health of “Sheredar” little guests. Decide what kind of volunteer you would like to be (leader-Shery, volunteer-master, medical volunteer, interpreter-volunteer, photographer-volunteer, driver-volunteer, event-volunteer). Wait until Volunteer Recruitment Manager calls. Pass necessary for the work training course which the expert of the International “Serious Fun Children’s Network” reads. Come to “Sheredar” and give an unforgettable week of magic and fun to children!